1. The Phanerozoic tectonic and sedimentary evolution of North America 2. Phanerozoic evolution of the sedimentary cover of the North American Craton 3. Appalachian Foreland Basin of Canada 4. The Appalachian and Black Warrior Basins: Foreland Basins in the Eastern United States 5. The Paleozoic western craton margin 6. The Maritimes Basin of Atlantic Canada: Basin creation and destruction in the collisional zone of Pangea 7. Pennsylvanian-Jurassic sedimentary basins of the Colorado Plateau and Southern Rocky Mountains 8. The southern Midcontinent, Permian Basin and Ouachitas 9. The Western Interior Basin 10. Cordilleran sedimentary basins of Western Canada record 180 million years of terrane accretion 11. Subduction-related sedimentary basins of the U.S.A. Cordillera 12. Tectono-stratigraphic evolution of the inner California borderland: template for fill-and-spill sedimentation 13. Laramide sedimentary basins 14. Sverdrup Basin 15. Atlantic Margin basins 16. Depositional evolution of the Gulf of Mexico sedimentary basin 17. Geology of the Late Cretaceous to Cenozoic Beaufort-Mackenzie Basin, Canada 18. Arctic Alaska 19. Postscript: What have we learned and where do we go from here? 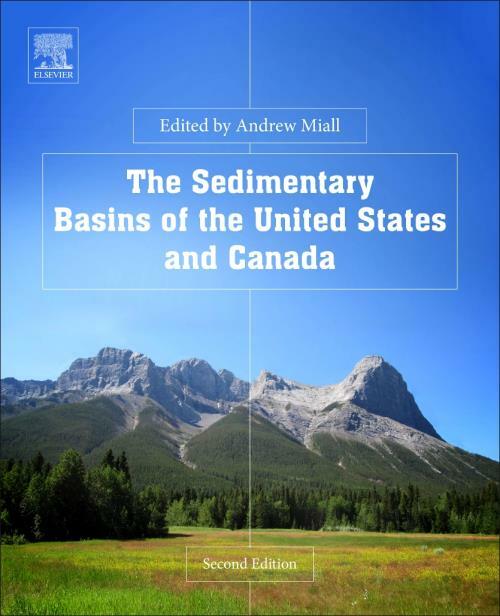 Andrew Miall has been Professor of Geology at the Department of Earth Sciences, University of Toronto, since 1979, where his focus is on teaching and research of the stratigraphy and sedimentology of sedimentary basins. He is the inaugural holder of the Gordon Stollery Chair in Basin Analysis and Petroleum Geology, which was founded in 2001. He was elected a Fellow of the Royal Society of Canada in 1995. Andrew Miall was Vice President of the Academy of Science of the Royal Society of Canada from 2005 to 2007 and President of the Academy from 2007-2009. From 2000-2004 Andrew Miall served as Canada's representative to the NATO Science and the Environment Program's "Committee on the Challenges of Modern Society. In 2010-2011 he served on expert panels for the Government of Canada and the Alberta Government to examine the environmental management of the Alberta Oil Sands. Prof. Miall has been the author of five research-level technical books and the editor of five special research collections. He is the co-author, with N. Eyles, of "Canada Rocks, an account of the geological history of Canada written for a general audience. This lavishly illustrated book is now in its second edition.